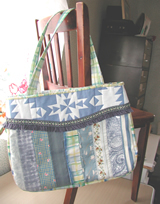 Summer Big Bag Dragon: This is the finished bag, which is approximately 18 inches square. 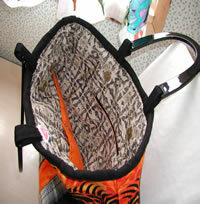 It has a gusset, which provides about 2 inches of depth; otherwise the bag is flat. 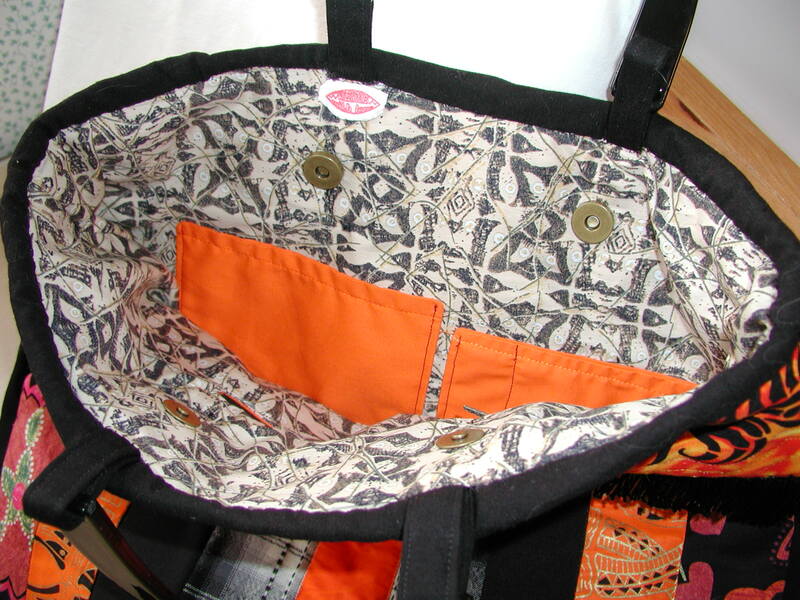 This shows the inside of the bag, particularly the zippered pocket on one side, and the top edges of the two orange media pockets (for cell phones, media players, etc). This shows the inside, viewed from the front. 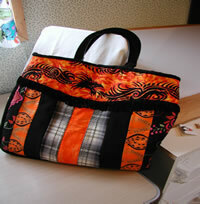 You can see the Valentine With Love label, the magnetic snaps, and the two orange media pockets. 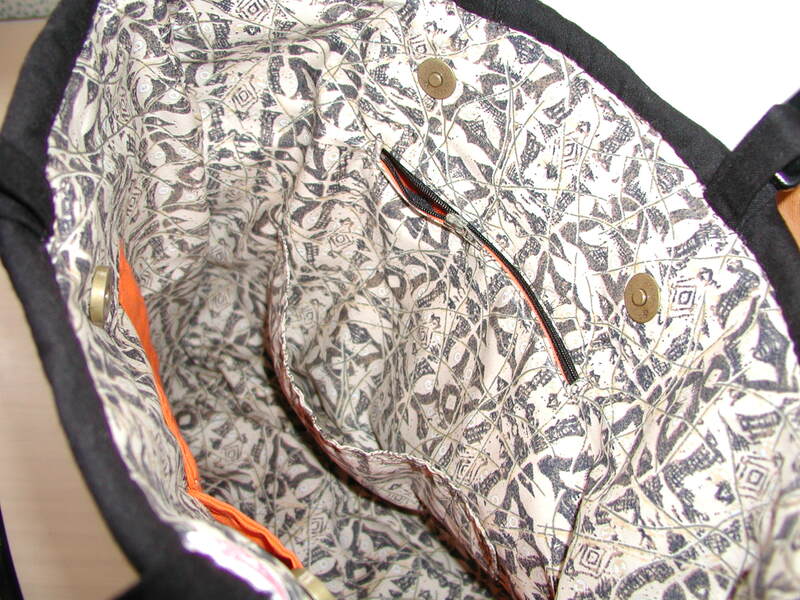 This shows that on the same side as the zippered pocket, in front of it, there is also a cheque book pocket and pen pocket. Valentine offers a number of Shapes of Handbage and purses, ranging from hobos and totes through built handbags created with a specific function in mind, to petite evening bags. 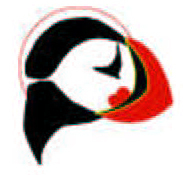 Many of these shapes are offered in different sizes. A STYLE. 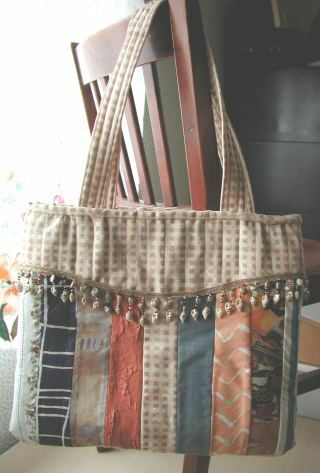 is a specific size and shape, with specific functionallity and features, offered in specific types and colours of fabrics.